Spend time with an Avalara trainer and other students in an online classroom. 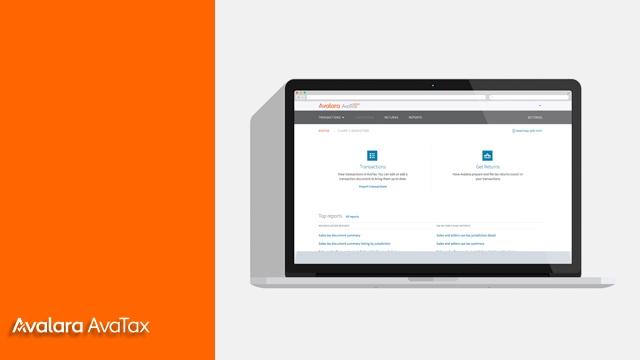 Experience AvaTax real-world settings, tools, and best practices. As long as you have a quality internet connection, you can learn anywhere. Learn how AvaTax works, what to have on hand before you get started, and how to set up your account. Learn how AvaTax processes transactions and how to manage them. Learn how to use reports to reconcile AvaTax transactions with the ones from your accounting software - and what to do if the numbers don't match. Learn which AvaTax Update settings to routinely monitor and adjust to ensure your taxes calculate correctly and the right people have the access they need.